Throughout the past two months, Dukes Meadows and the fc**tennis players were well represented across both National and Internationally events. Ranah Stoiber and Sophya Devas both made their debuts in the 56th Annual Junior Orange Bowl International Tennis Championship Based in Miami, Florida. 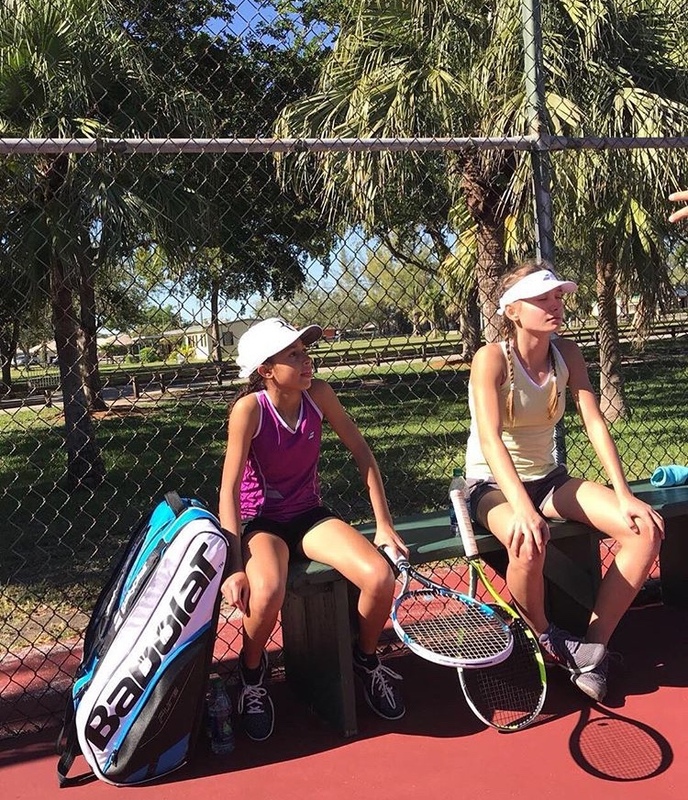 This championship is one of the most important and prestigious junior tennis tournaments in the world, bringing together over 1,300 of the top ranked male and female 12-and-under and 14-and-under junior players and representing more than 76 countries. Over the past 56 years, tennis legends such as Chris Evert, Jimmy Connors, Mary Joe Fernandez, Monica Seles, Andre Agassi and Steffi Graf have showcased their athletic talent as well as current pros, Caroline Wozniacki, Genie Bouchard, Maria Sharapova, Sloane Stevens, Roger Federer, Juan Martin del Potro, Kei Nishikori, and Andy Murray, 2016 Olympic Gold Medalist and 2013 Men’s Wimbledon Champion and past Honorary Chair of the Jr. Orange Bowl Tennis Championship. 12/U Girls – Sophya Devas and Ranah Stoiber. Sophya had a fantastic first round win against a much higher ranked opponent, but eventually lost a very close battle in the 2nd round and entered the consolation draw where she lost to Ranah in the 2nd round. Ranah lost a hard fought 1st round match, and then unfortunately had to withdraw from the consolation draw due to food poisoning in the 3rd round after winning 2 matches. A great experience for both Ranah and Sophya being able to compete in the same draw as some of the best juniors in the world. To see and witness it live will only be a benefit to both of them in their future tennis careers. Both girls have come back energised and now knowing what is needed to succeed the next time they play. Hopefully back in 2018. Prior to the Orange Bowl Ranah and Sophya played the Casely International tournament. This event is an invitation only and provide players with quality match practice. Both girls got some important confidence as Ranah had a great couple of days by winning the tournament and Sophya won the consolation event. 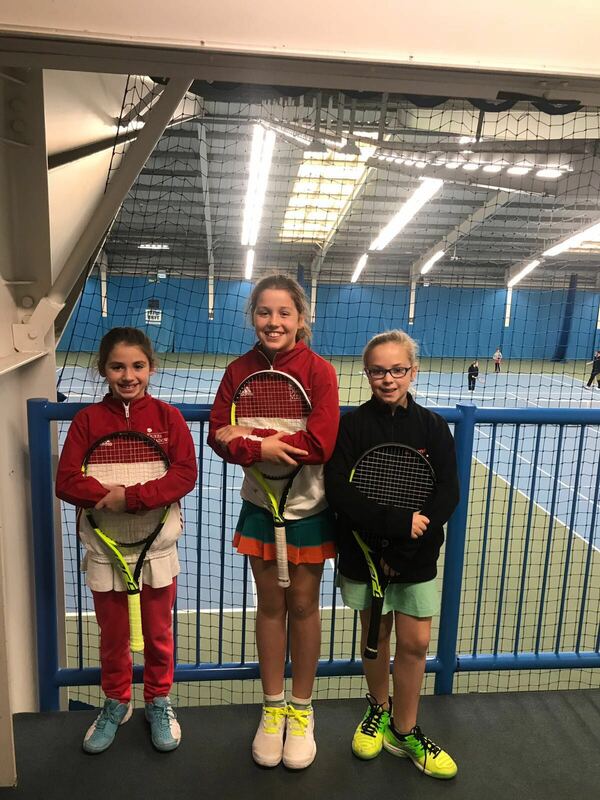 Flora Johnson (consolation runner up), Lola White (consolation semi final) and Serena Manca (consolation quarter final) all played Sunderland 10/U National Winter Tour Grade 2. Great efforts from all 3 players making the main draw on ranking. Over the last 3 months, over 50 children have been competing all over the country and all over the world, which is an increase from last year. One week we had up to 30 children competing at the same time. It’s not just about the winners and runners up but also many children making significant moves up the rankings and ratings. Congratulations to all Dukes Meadows players and best of luck for 2018.